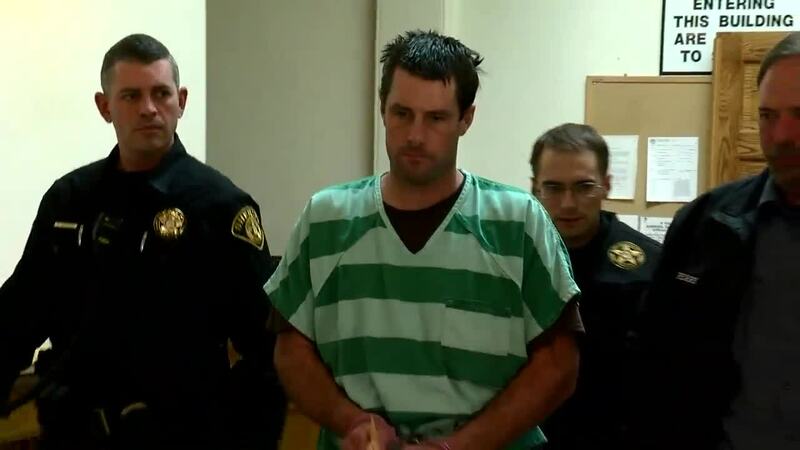 A judge decided Thursday who would take custody of Kelsey Berreth and Patrick Frazee's 1-year-old daughter. Kelsey has been missing since Thanksgiving and Frazee is accused of murdering her. Frazee was present for the hearing. UPDATE (Friday, 8:45 a.m.) — According to new documents released Friday morning, Senior Deputy District Attorney Jennifer Viehman, on behalf of the people of Colorado, objected to unsealing the arrest warrant before Patrick Frazee is formally charged, which is scheduled to take place Monday morning. That motion was granted in court. TELLER COUNTY, Colo. — A judge decided Thursday afternoon Kelsey Berreth's parents will get temporary physical custody of Berreth and Patrick Frazee’s 1-year-old daughter but the Teller County Department of Human Services will retain legal custody. Frazee, who was in court for the custody hearing Thursday, was arrested Dec. 21 in connection to Berreth’s disappearance. The Woodland Park 29-year-old woman hasn’t been seen since Nov. 22 and authorities have said they believe she is no longer alive . The couple had a 1-year-old together, and the baby stayed with Frazee during the investigation. Authorities conducted searches at Frazee’s home in Teller County and Berreth’s home in Woodland Park before arresting him on an investigation of first-degree murder charge and a solicitation of first-degree murder charge. On Thursday, Berreth's mother and Frazee's mother declined media interviews. It's not clear when the custody motion was filed with Teller County. Berreth's parents were added to the case as special respondents. Frazee's mother filed a motion to intervene, according to minute order summary. The case is continued for a pre-trial conference on Jan. 3. At the time of Frazee’s arrest, the child, who was safe, was put in protective custody and would be reunited with Berreth’s family, Woodland Park Police Chief Miles De Young said on Dec. 21. A few days before the fiance’s arrest, De Young said they had been in contact with the Teller County Department of Human Services in regard to the baby’s custody. At that point, he said the department didn't have any evidence that the child’s safety was at risk with Frazee. As of Thursday at noon, Berreth’s body had not been found. There was a small lead, though: Police in Twin Falls, Idaho have been working with Colorado authorities in this case, since Berreth’s cell phone pinged in Idaho a few days after her disappearance. On Dec. 22, the police said they thought they had found possible evidence in connection to the case, though the specifics were not released. Frazee is expected in court on Monday to face his formal charges.